L Drops are Lord's specialized range of SEVENTY-ONE medicines which provide protection and cure from an array of ailments such as joint pain, sciatica, obesity, sleeping disorders etc. L Drops have been carefully formulated by keeping in mind various modern day illnesses which prevent us from fully enjoying our lives with our loved ones. 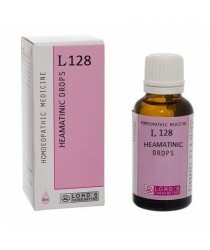 L Drops give a holistic, long term and safe solution from a wide spectrum of ailments.